The public link colleagues are blogging about new products and new services. Our deep passion for new products finds perfect expression in our “100% new” blog. Whether actual innovation, a nice “me too” or just some quirky contrivance – as long it has “NEW” written on it we will see to it. 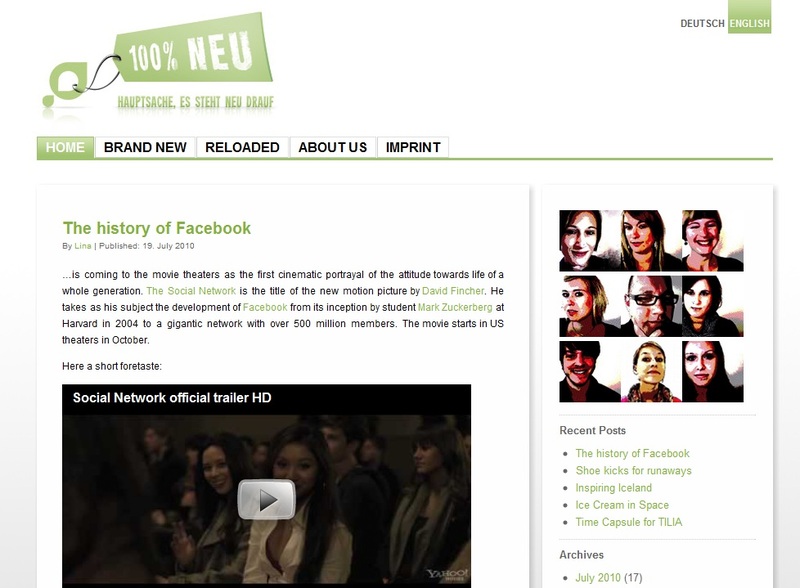 Perhaps a red-hot campaign, the hundredth club to open in Berlin or the latest Lady Gaga video? We will add our two cents. The reheated, rediscovered and even the long forgotten will also find a place here. We hope you enjoy it; to read, comment, bookmark and share. You are all welcome to contribute to the blog – maybe you just found a hot or bizarre new product in your market? Lina (l.klespe@publiclink.de) is our “Head of Blog” and she is looking forward to receive ideas, links, comments.